Left: The vertebra of a standard anaconda. 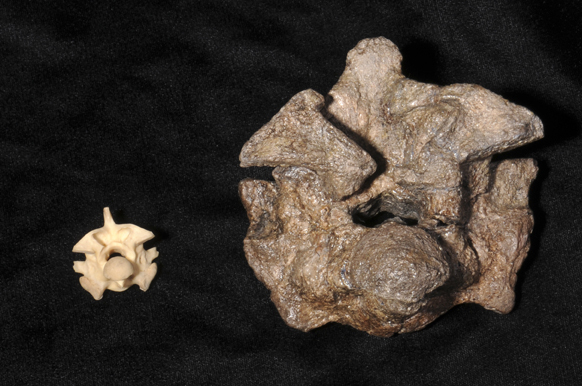 Right: The fossilised vertebra of titanoboa. WTF!